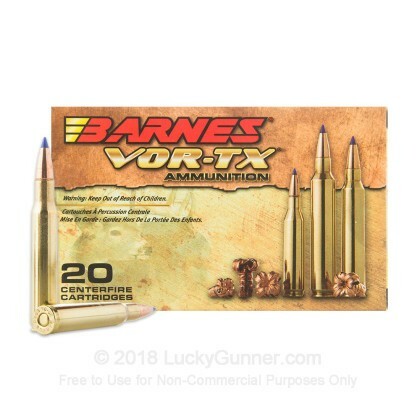 Barnes VOR-TX ammunition is considered one of the most effective hunting cartridge lines in the world. 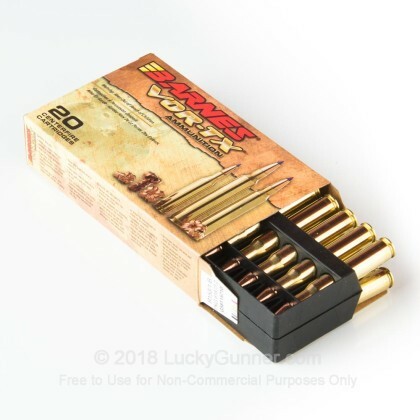 This premium Barnes rifle load features their polymer Tipped Triple-Shock X (TTSX) bullet designed for accuracy, weight retention, rapid expansion, and deep penetration. This winning combination is sure to help you bring down your next prize trophy! 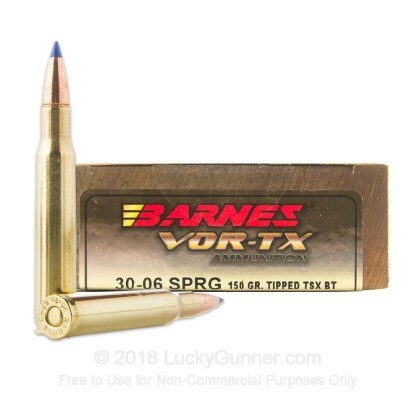 Barnes' TTSX bullets feature a polymer tipped solid-copper construction designed to achieve deeper penetration than lead-core bullets with greater weight retention. The polymer tipped projectile forces the hollow point bullet to expand even faster. 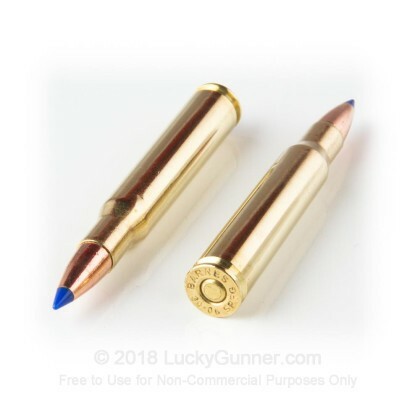 Additionally, the polymer tip improves the ballistic coefficient reducing drag and increasing the performance of the bullet. The TSX bullet is designed to expand into four sharp-edged copper petals upon contact destroying tissue, bone, and vital organs for a quick, humane kill. The TSX bullet features a bullet shank with multiple, precisely engineered grooves that reduce pressures allowing for higher velocities. Each round is brass-cased, boxer-primed, non-corrosive, and reloadable. 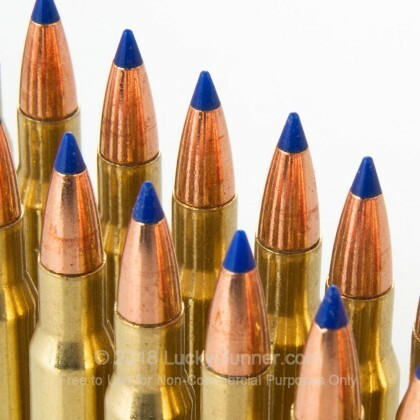 Additionally, this ammunition is lead free! I'm not interested in adding lead to any animal that I want to eat. So I use non toxic bullets for everything I hunt. The barns x bullets are accurate & deadly from my Browning a-bolt, ar-15, & my Thompson Muzzleloader. In case your wondering I'm not interested in outlawing lead shot / lead bullets. You choose what works best for you.